Gutter Cleaning Pro has a fantastic reputation for customer satisfaction and that’s why we are Plymouth's most popular Gutter Cleaning Company. You can rest assured whatever the problem we have the solution leaving your Gutters and Downpipes clean and clear. Whether it’s a home office, warehouse or University our qualified staff are fully trained to give the best possible Gutter Cleaning Service in Plymouth and the surrounding areas. Plymouth Gutter Cleaning Pro provide a high quality gutter cleaning service in Plymouth and Surrounding areas. We leave your gutters free of moss, leaves and other debris; thus allowing a good flow for proper drainage, and provide video evidence on completion. No need for scaffolding, ladders or cherry pickers when using GutterPRO for gutter cleaning. We can do it quickly and easily using a ground based powerful vacuum and super light 34ft carbon fibre poles which can clear the gutters of three and four storey homes. 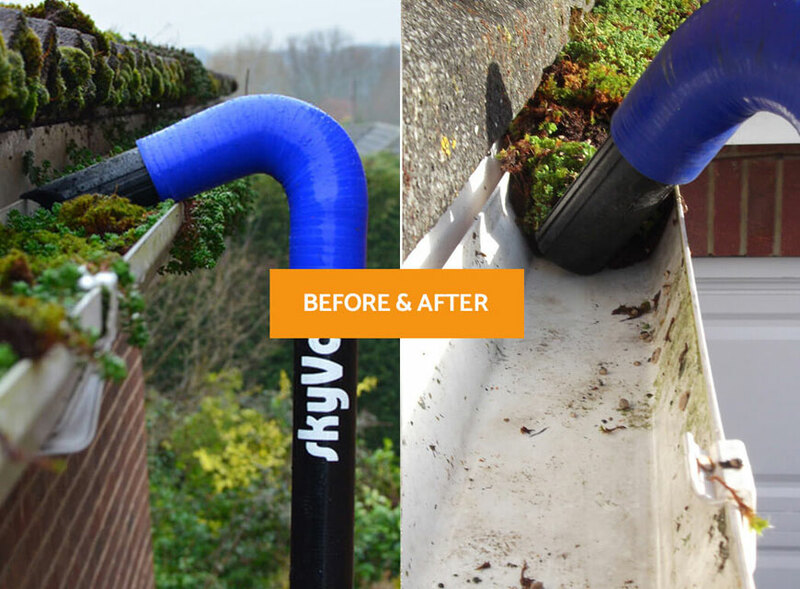 Gutter Cleaning Pro's commercial team have cleaned guttering on countless numbers of commercial and industrial properties in and around Plymouth.